Protecting a home or building from fire is essential in providing a safe environment. 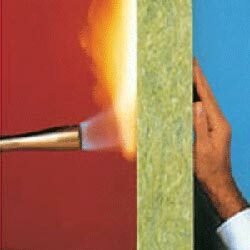 That’s why it’s a good idea to install fireproof insulation, which is made of fire retardant material. This type of insulation will help prevent a fire from spreading throughout a home or commercial building which will allow occupants the time necessary to exit safely. Whether you’re a homeowner who wants to update your insulation in Alpharetta or you are a contractor working on a home or office building in Lawrenceville, Georgia or any other southeastern state, Arango Insulation should be your choice for all your fireproof insulation needs. We offer exceptional products and can even have our highly trained and skilled technicians come install your insulation for you to ensure it is done properly. For more information on our products and services, please call or e-mail us today.